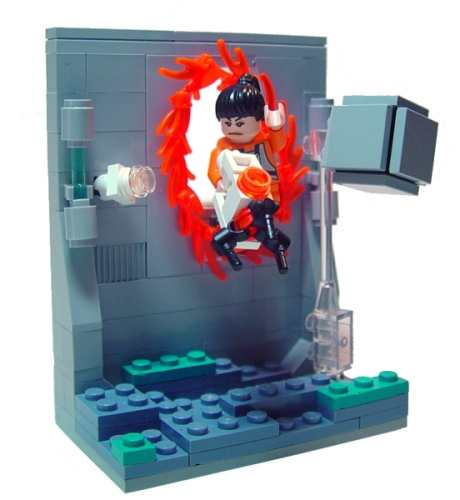 …but I think we’re legally obligated at this point to blog all LEGO creations inspired by Valve’s Portal. Our previous statement suggesting that we would not monitor this chamber was an outright fabrication. The Weighted Companion Cube will accompany you throughout the test. Please note that any appearance of danger is merely a device to enhance your testing experience. But c’mon people — where are your LEGO Left 4 Dead creations? Get buildin’! Portal vigs have always been interesting, the way the portal has to lead to another spot in the room and all that. ^ Great use of the General Grievous body for the gun! Truth be told I need to step it up though.